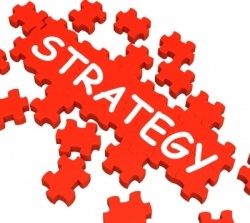 If strategic planning is part of your to-do list for 2013, are you finding it hard to get enthusiastic about it? If so, you’re not alone. Associations often struggle to get full value from strategic planning, and that can make it a frustrating experience. Here are five common ways that resources (cash, time, and goodwill) are frequently wasted on strategic planning – and how to avoid doing the same. Many thanks to Meagan Rockett for the invitation to collaborate. Also this week, I was also delighted to have inspired this blog post by Thom Singer about a “blank sheet of paper” approach I’ve used with clients – I am sure I’ll post more about it myself at some point.